The grandparent of all pizzerias in New York is Lombardi’s. 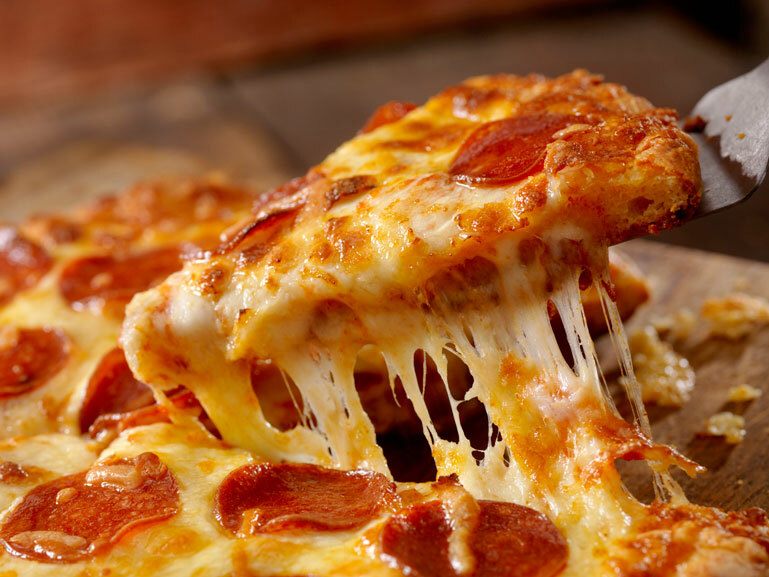 Back in 1905, Italian immigrant Gennaro Lombardi introduced pizzas to his grocery store in Little Italy. Given that they can claim to be “America’s first pizzeria,” this should be your first stop. Their smoky-crusted coal oven baked pizzas are topped with San Marzano tomato sauce, fresh mozzarella, and basil. Just a 10-minute walk from The Manhattan at Times Square is John’s Pizzeria. Considered among the best pizzerias in New York, John’s achieves a unique flavor by using good ol’ coal-fired brick ovens that give the pizzas an unmistakable taste. While you’re there, why not grab a Broadway show before your pizza extravaganza? Joe’s Pizza has many locations but the most popular locale is in Greenwich Village, just doors from their original pizzeria. Opened in 1975, here is where you should come to tuck into a cheesy slice of New York pizza. Its owner and founder, Joe Pozzuoli is a Naples native who brought simple, classic and exquisite Italian traditions to this country. Intrepid travelers looking for the ultimate pizza in New York should take a trip to Brooklyn. Walk along Brooklyn Bridge, grab some pizza and take photos of the Manhattan skyline from Brooklyn Bridge Park. Walk two blocks from The Manhattan at Times Square and take the Line N (yellow) or Q (yellow) at 49 Street, Downtown/Brooklyn direction. Transfer at 14 Street-Union Square to Line 4 (green) or 6 (green) to Brooklyn Bridge-City Hall. Exit and the entrance to the Brooklyn Bridge will be right in front of you – just follow the crowds! Founded by Patsy Grimaldi in the 1990s but sold a few years later, Grimaldi’s remains the most popular pizzeria in New York. Located in a former bank in the DUMBO neighborhood, this pizzeria prides itself in using a coal-fired oven, fresh ingredients, handmade mozzarella, and a secret recipe for dough and pizza sauce. Expect long queues! Just around the corner from Grimaldi’s is Juliana’s Pizza, a brand new neighborhood pizzeria by the founders of the original Grimaldi’s. In fact, this locale is the original Grimaldi’s pizzeria! 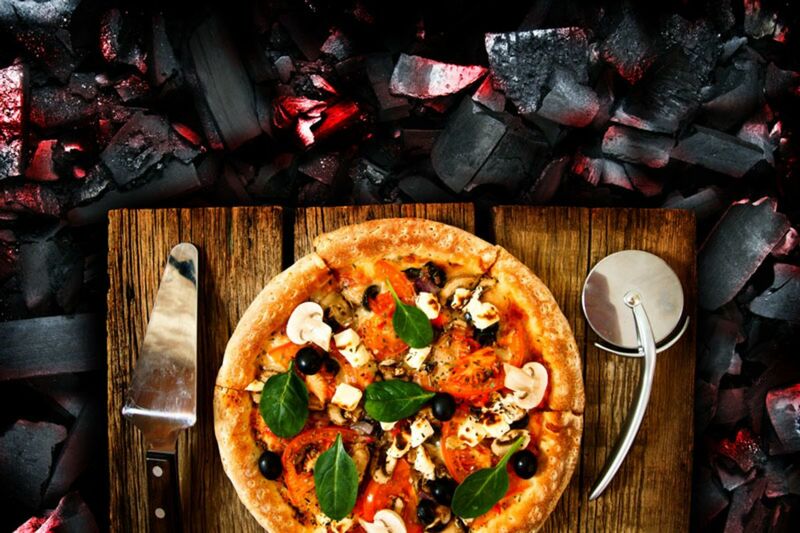 The crusts are thin, toppings are fresh and homemade and pizzas are baked in coal-fired oven. Queues are also long but worth it. Are you looking for more tips on eating and dining in New York City? Follow the Manhattan at Times Square blog for customized information on everything about The Big Apple.